A German-born gift to the Catholic Church is our guest for this Catholic Vitamins podcast. 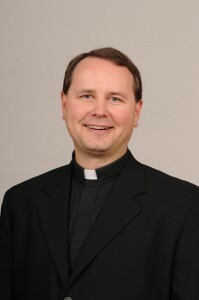 He’s Father Andreas Hoeck – a highly educated, yet humble and busy priest from the Archdiocese of Denver. Father Andreas is, among other talents a recognized Scripture scholar who helps us to consider the importance and value of GENEALOGY in the Old and New Testaments. Our goal in this show? To value our Church history and the history in our families and in our parishes. This entry was posted in Podcasts and tagged Clergy, Priest, Vitamin G. Bookmark the permalink.